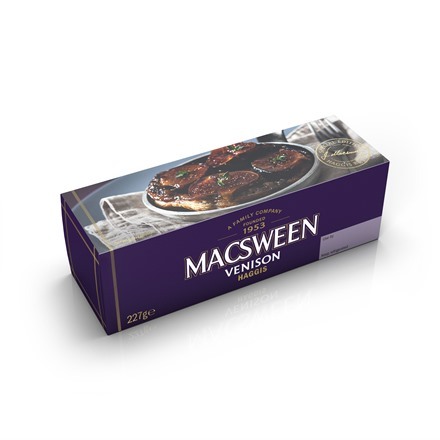 Macsween Venison haggis: Full of rich game and sweet fig flavours. Great with a Scottish ale. Love it or loath it, haggis gets you talking. Passionate haggis lovers extol its unique earthy taste while detractors focus on its offal production methods. The thing is, as we move into 2015, the year of Scottish Food and Drink, haggis has moved forward too. Legendary haggis producers Macsween’s new range of haggis are bursting with fresh ingredients and tantalising flavours, and should now rightly be compared with popular modern ingredients like chorizo and salami. Venison Haggis is made with rich venison and infused with port, juniper, redcurrants and spices. It’s strongly flavoured and has a good crumbly texture. Best served with seasonal vegetables or in a venison haggis and fig tatin. 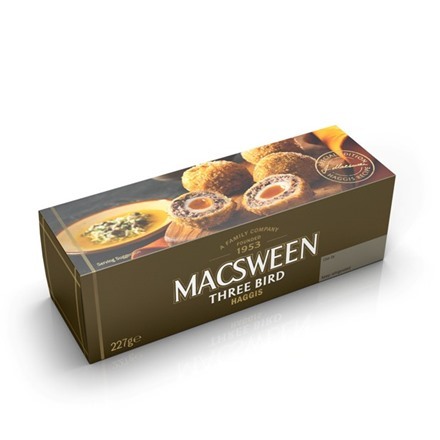 Macsween three bird haggis is inspired by the popular Christmas roast of the same name and is a moreish trio of duck, pheasant and grouse subtly smoked with lavender, quince and spices. Great in wellington canapés and Scotch eggs. 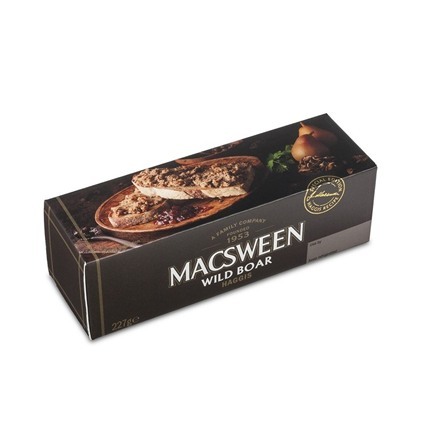 Macsween Wild Boar Haggis is succulent and sweet with pear, wild mushrooms and spices. Excellent on its own or added to your favourite burger recipe for great BBQ and party food. 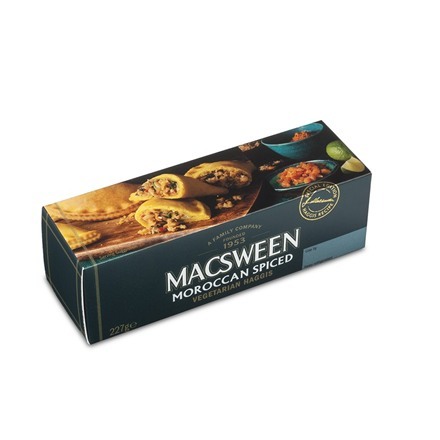 Moroccan Spiced Vegetarian Haggis has a sweet, spiced depth, with fragrant apricots, prunes, ginger and lime. This makes a great stuffing for your favourite roast, or empanadas if you fancy something a little more exotic. In our minds, there are too many Scots and honorary Scots who are missing these tasty new flavours. Fortunately we deliver anywhere in the UK and to all of Europe too on a date of your choosing (Monday to Friday to ensure freshness). You too can taste why Macsween haggis is worth celebrating.